Interesting Peer Reviewed Paper I came across.. In the winter of 2013-14 the Atlantic played little to no role. The pattern was driven by the warm PDO.
" The severe 2013/14 winter (December–March) in the Midwest was dominated by a persistent atmospheric circulation pattern anchored to a North Pacific Ocean that was much warmer than average. Strong teleconnection magnitudes of the eastern Pacific oscillation (−EPO), tropical Northern Hemisphere pattern (+TNH), and second-lowest Hudson Bay 500-hPa geopotential height field are indicators that led to severe winter weather across the eastern United States. Unlike in previous cold and snowy midwestern winters, Atlantic Ocean blocking played little to no role in the winter of 2013/14. The primary atmospheric feature of the 2013/14 winter was the 500-hPa high pressure anchored over the North Pacific in response to the extremely warm sea surface temperature anomalies observed of +3.7 standard deviations. Only one other severe midwestern winter (1983/84) since 1950 featured a similar Pacific blocking. The accumulated winter season severity index, which is a metric that combines daily snowfall, snow depth, and temperature data for the winter season, was used to compare the 2013/14 winter with past winters since 1950. Detroit, Michigan, and Duluth, Minnesota, experienced their worst winter of the 55-yr period. Seven climate divisions in northern Illinois, eastern Iowa, and parts of Wisconsin experienced record-cold mean temperatures. These climate conditions were associated with a number of impacts, including a disruption to the U.S. economy, the second-highest ice coverage of the Great Lakes since 1973, and a flight-cancellation rate that had not been seen in 25 years." Great find. I remember people saying it was the epo block that trapped the cold here. Only one other severe midwestern winter (1983/84) since 1950 featured a similar Pacific blocking. That right there should tell us that the Atlantic (NAO) dominates our winters more right? But what relationship does the EPO phase have with the PDO phase? 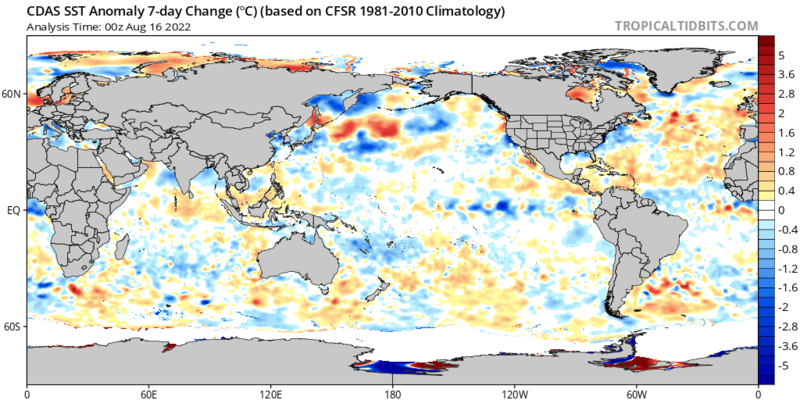 So the EPO is the Pacific version of the NAO. NAO goes positive or negative regardless of AMO phase. Shouldn't the EPO do the same? What's the difference between PNA and EPO? Eastern Pacific versus Pacific North America. PNA: The Pacific-North America - PNA pattern is one of the most prominent modes of low-frequency variability in the Northern Hemisphere extratropics. The PNA pattern reflects a quadripole pattern of 500 millibar height anomalies, with anomalies of similar sign located south of the Aleutian Islands and over the southeastern United States. Anomalies with sign opposite to the Aleutian center are located in the vicinity of Hawaii, and over the intermountain region of North America (central Canada) during the winter and fall. Interesting. So Arctic Sea ice is greater during negative PDO? Where does the Polar Vortex want to be during a Cold PDO? In fact Levi does well with entire video. Interesting stuff.